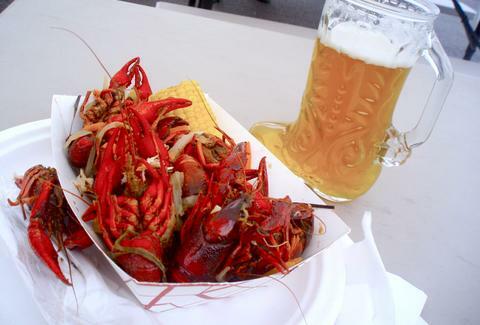 For purists, the absolute best way to enjoy crawfish is simply boiled in a huge vat of spicy liquid, usually accompanied by new potatoes, corn on the cob, sausage, and mushrooms (and beer, duh). If you don’t feel like boiling your own, Shaeffer’s, Big Fisherman, and Fisherman’s Cove offer hot mudbugs by the pound for you to take home and devour in your backyard, on top of a pile of newspapers. See, print isn’t dead after all. 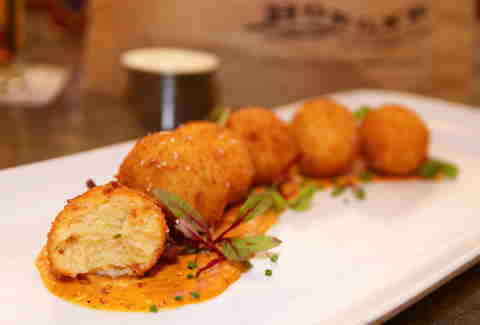 Chef Brian Landry’s menu usually offers shrimp croquetas; golden fried balls of creamy, cheesy goodness that are must-have if you’re headed there. 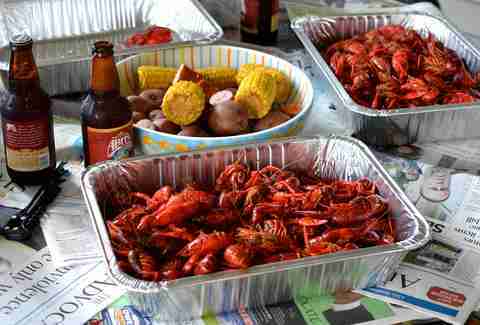 But come crawfish season, you can expect a crawfish version instead, and they’re just-as-if-not-more awesome. Right around the corner from Schaeffer’s on the Lakefront in Bucktown is the original Deanie’s, which serves boiled mudbugs by the pound in their restaurant and to-go in their shop next door. 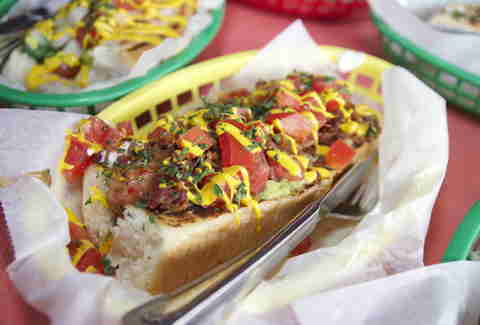 Those are great, sure, but if you’re dining there, make sure to check out their po-boy overstuffed with fried crawfish tails and “dressed” with lettuce, tomato, pickles, mayo, and plenty of hot sauce. 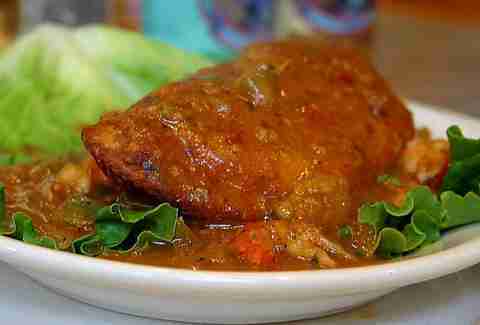 It’s got pie right in the name, so you know their crawfish version, when in season, is going to be a winner. Which it is. 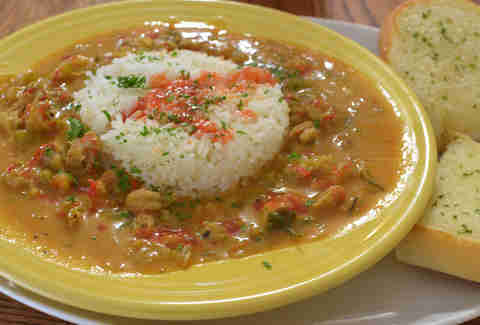 Mudbugs litter the menu at Bon Ton, but their classic etouffee, an old-guard Creole favorite, might be the best in town. 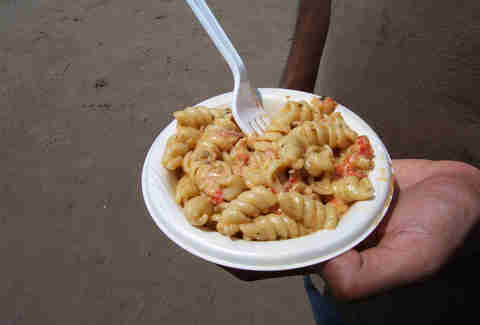 One of the most famous crawfish applications in NOLA is Crawfish Monica, which incorporates the tails with pasta in a spicy, creamy sauce beloved by locals and visitors alike. Time was, you could only find the true Monica at Kajun Kettle’s stall at the New Orleans Jazz & Heritage Festival, but these days you can just go ahead and purchase a Monica kit from their website and enjoy it year-round. Modern technology saves the day! There’s a lot to love about Cafe Reconcile, especially being a nonprofit teaching kitchen for underprivileged, at-risk young people in the community... but there’s also a fantastic crawfish bisque (and a crawfish & catfish dish) which may be equally good for the soul. Among the numerous hot dog options available at Dat Dog’s three locations is a killer craw sausage, which we suggest piling high with tons of DD's delicious (and free!) toppings for good measure. 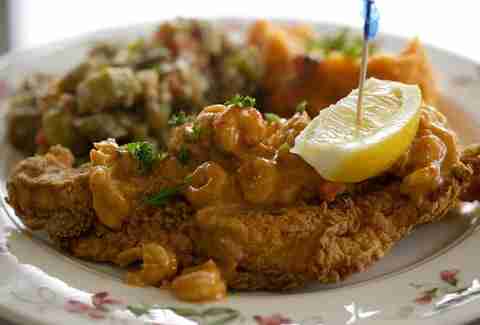 Patton’s is not a restaurant, but a catering company that, in the last 30yrs, has become synonymous with Jazz Fest. 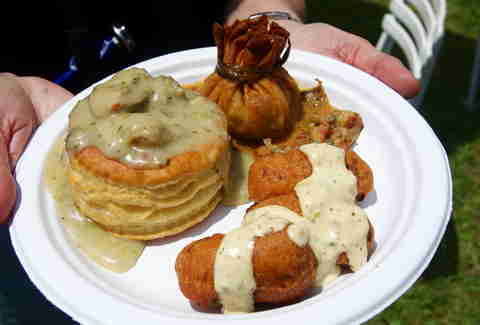 Their famous combo plate includes a crawfish sack -- a beautiful beggar's purse fashioned from a crepe filled with crawfish stuffing and deep fried -- as well as savory crawfish beignets fried to order as well. It’s difficult, but well worth waiting an entire year to get your hands on this plate at the Fest, though now you’ll be able to find it if you happen to attend the Zurich Classic golf tournament, as well.